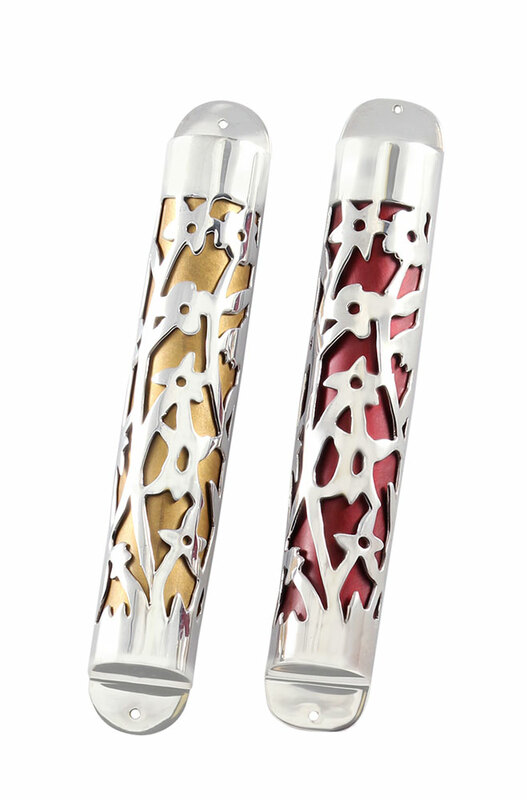 925 Sterling Mezuzah Cover with a colored anodized designer handle. Sterling silver home essentials will make a perfect gift for Hostesses, Wedding showers or simply any event. Sterling silver has been cherished and preserved for centuries and handed down from generation to generation. Shown in 2 color options, please select the color from the options below. Please select the color from the options below.